Along with the kitchen, the living room of a home generally sees the most use. It is where the family watches television, plays board games, opens Christmas presents, and entertains guests. Since a living room sees a lot of use, its furniture can get worn out quickly. At CLS Direct, you can find an extensive selection of living room furniture at competitive price points. With over 15 years in the business, we know that the best customer is a satisfied customer. The fastest way to give your home a new feel is to update the living room furniture. You can create any atmosphere you like with a careful selection of specific pieces of furniture. Our inventory covers more than just sofas and coffee tables. We stock a range of recliners, chaise lounges, ottomans, and occasionals, such as end tables, screens, and consoles. 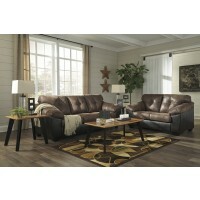 We even offer complete living room sets to ensure that each piece perfectly complements the rest. Why Should I Update My Furniture? As we mentioned above, the living room is one of the busiest rooms in any household. As such, its furniture sees the most use. The sofa plays host to naps, ballgames, sleepovers, scary movies, birthday parties, and pets. Even with coasters, the coffee table will get scratches, dings, and watermarks over the years. Rather than waiting until something breaks, replace it now. All of our items come with a low price guarantee, as well as available financing. So if you are tired of your living room furniture, call or stop by CLS Direct. We can transform your house in just a few short hours.